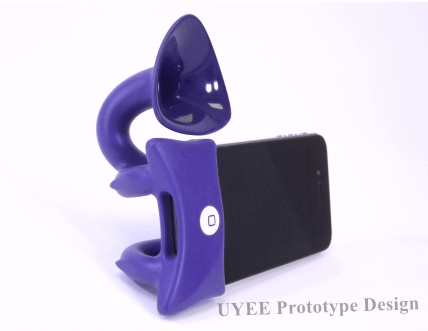 UYEE was established in 2005 and has grown to be a full service rapid prototyping company. We have steadily grown as a result of offering the clients with quality prototype products and splendid services. As the increased of technician and factory scale, UYEE continues to grow as a full service manufacturer offering the best value and service to our clients. UYEE is your complete source for full prototype making, CNC machining, CNC turning and rapid tooling, welding and assembly. Our quality personnel and state-of-the-art equipment are ready to fabricate, milling, cut, weld or assemble your components from prototype to large production quantities, with the quality you expect and deserve. We’re staffed with outstanding personnel and equipped with the latest technologies and equipment to serve your needs! Our focus is to partner with companies through every stage of product development, prototype design and manufacturing. Specialized in leading technologies, worldwide engineering capabilities and reliable service, we develop customized solutions that help with businesses reduce their time-to-market. With over 13 years of experience, we continue to strive for excellence by being client-focused, managing projects effectively and shipping quality, on time. Using one manufacturer to fulfill your optical product needs offers you complete control and confidentiality throughout your whole project. We bring years of technical and design expertise to your program process. This experience saves time and money when your prototype gets ready for end production. Our team of manufacturing professionals oversees every aspect of your project at each step. We don’t add time or compromise quality by outsourcing project. We look forward to discussing your project. We offer multiple finish options and higher-level finishes for each prototype manufacturing service. We can have you prototypes in as little as a few days, giving you time to test the product’s fit, structure and function and allowing you to fast come into production. At UYEE, we provide rapid manufacturing and complete product development services. These offerings include: form studies, functional, and visual proof of principle prototypes. We can build samples in 3D printing, SLA prototype, CNC precision machining, CNC turning, and rapid tooling methods. Our experienced engineering staff work with, Pro-E, UG, SolidWorks, and MoldFlow modeling programs to develop parts for functionality and manufacturability. We are able to assist clients throughout the product development process from prototype to mass production. We take great pride in providing its clients outstanding rapid prototyping services and CNC machining. Our in-house tooling allows us to expertly mill, drill, tap, bore, turn, broach, counter bore and thread your metals (titanium, aluminum, steel, brass, copper .etc) and plastic polymers (Delrin, ABS, PE .etc) all while holding tolerances down to 0.01MM throughout the manufacturing process. We know that speed is critical throughout the entire product development stage. We honestly want to be your partner in product development! We are proud to be a leading rapid prototype manufacturer, offering our clients new product design support and prototyping, CNC machining and tooling, as well as parts assembly, packaging and supply chain solutions. 6) All management committed to routine reviews of the Quality System that verifies continuous improvement in customer satisfaction through quality, cost and service. UYEE provides high-quality manufacturing solutions for producing prototype model and products. Clients rely on our excellent services to minimize risk and provide high-value solutions. Through open communication, trust and performance, we build a win/win experience for all involved. To succeed, not only you need a manufacturing partner who does more than manufacture prototype and components, model making, machined parts, mould making or custom inspection gages. But also you need a strong, growing company, treating clients, employees with respect and dignity.